Diagnostic test strips suitable for a variety of heavy duty motor vehicle fluids such as coolant, pH levels, glycol, nitrite, NOAT and HOAT. 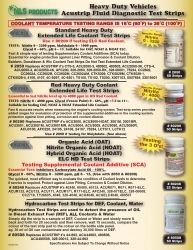 Fast and simple way of testing Supplementary Collant Additives (SCA) today. Essential for engine protection against liner pitting, corrosion and collant dilution. Fast and accurate results when measuring the engine's cooling system. 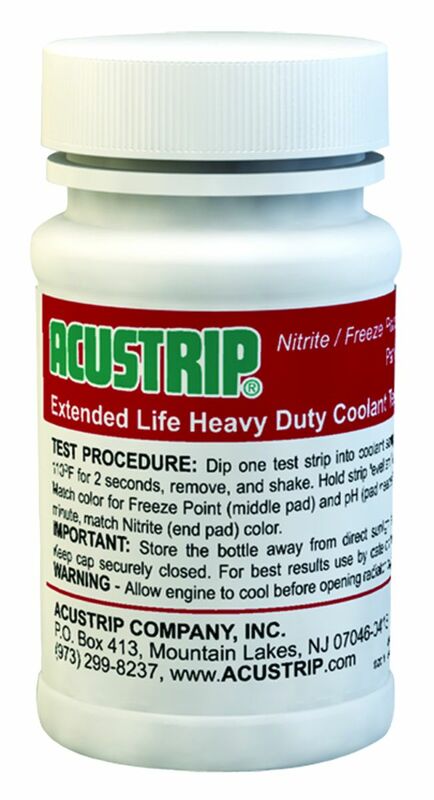 Test strip series provides added ranges for evaluation of protection of the supplemental addivtives in the cooling system, protection against liner pitting, corrosion and coolant dilution. 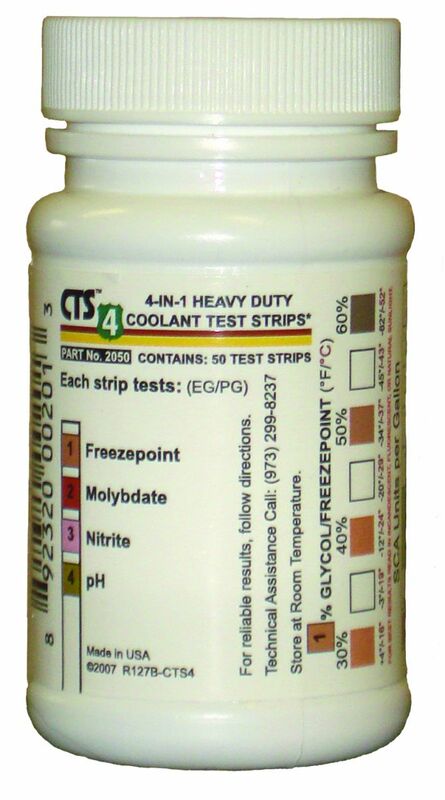 The quickest, most efficient way to evaluate the condition of Coolant levels to determine if service is required. 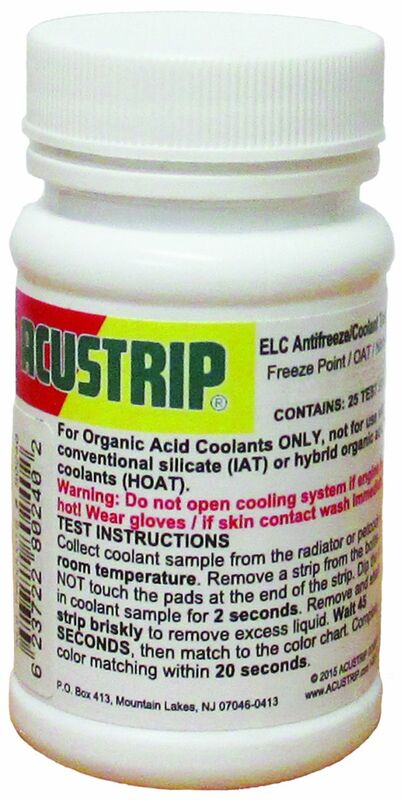 To help protect against liner pitting, corrosion & coolant dilution. 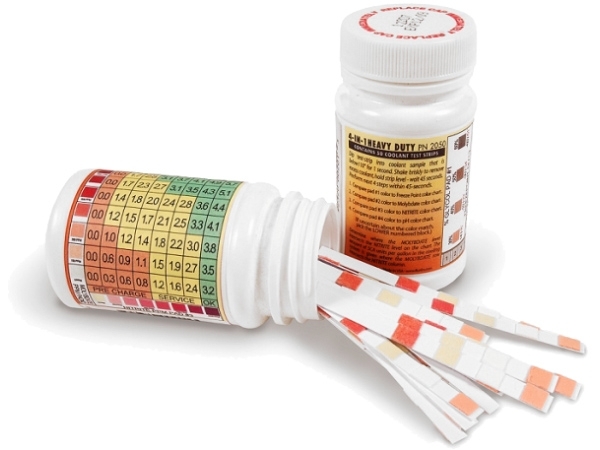 Simply dip the strip in a sample of DEF, Coolant or Water and slowly move it back and forth for 20 seconds and then remove, wait 15 seconds, compare the colour of the test strip pad to the colour on the bottle's side panel. eg. 30 ml of oil can contaminate and destroy 30,000 litres of DEF. 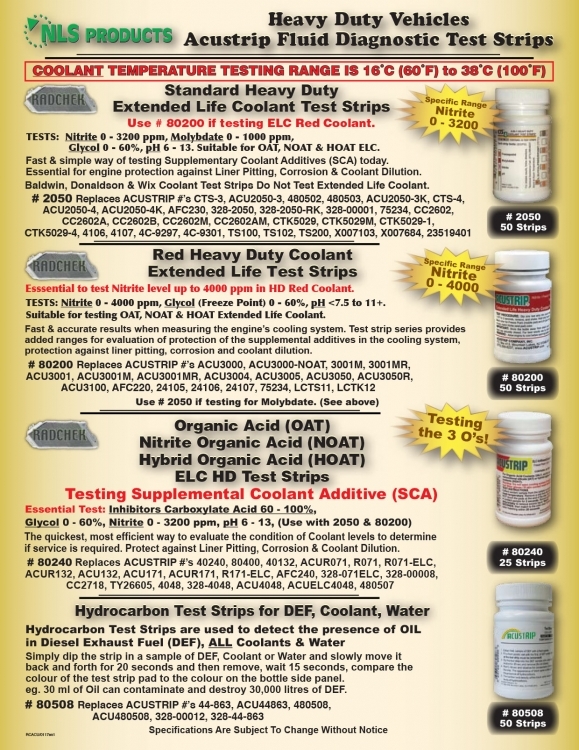 Fluid diagnostic test strips for coolant, pH levels, glycol and more in auto and heavy duty vehicles.